Have you made a Will yet? If you were to die without a Will, your loved ones will have to pay court costs and legal fees to administer your estate. 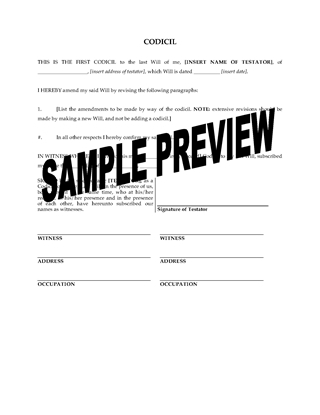 Last Will and Testament form, with instructions to help you complete the document. Special instructions for Quebec. Making a Will in Canada, a guide to help you through the process of preparing your Will with a summary of the legal requirements for each province and territory. Checklist of all the information you need to compile in order to complete your Will. How to Choose an Executor and a Guardian for Minor Children. Information about the duties and responsibilities of an executor. Estate Plan and Questionnaire developed by a financial planner, to help you decide how you want all your property, investments, stocks and other assets to be preserved during your lifetime and distributed after your death. If you own real estate or other assets, whether in Canada or outside of the country, you need to have a Will to make sure your property is distributed in accordance with your wishes. Download your complete Canada Legal Will Kit and Estate Plan immediately after purchase. No need to buy multiple copies - you and your spouse or partner can each prepare your Will using the same template. Updated 2012 to reflect legislative changes. Make additions to your Last Will & Testament with this template Codicil to Will form for the Province of Ontario. The Codicil must be executed and witnessed in the same manner as the original Will. If you are making substantial changes to your Will, you should make a new Will instead of doing a codicil to the old one. 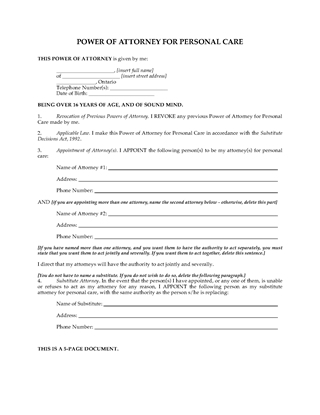 The document also includes the required form of Affidavit of Execution of Will or Codicil (Form 74.8). This Ontario Codicil to Will form is provided in MS Word format, and is totally editable to meet your needs. Cohabiting couples in Ontario can establish their rights and obligations and the ownership of their separate and joint property in a Cohabitation Agreement, under section 53 of the Family Law Act. The Agreement allows you and your partner to specify which assets each of you owned prior to the relationship, and which are jointly owned by both of you. You can also set out how your joint assets will be distributed if you decide to end the relationship. You can also agree upon how household expenses will be split, and who is responsible for other debts. For instance, if your partner owes money on a student loan incurred before you met, he/she may be solely responsible for paying it off. If the two of you decide to get married, the Cohabitation Agreement becomes a prenuptial (pre-marriage) agreement. 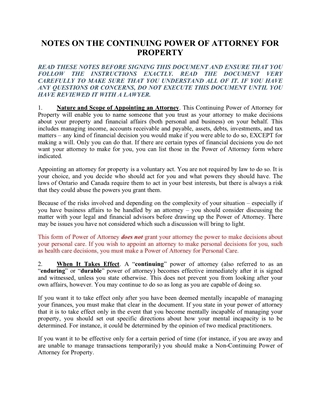 You will both need to get independent legal advice from a lawyer before you sign the Agreement. A Certificate of Independent Legal Advice is included for each of you, which the lawyer will sign after seeing you. Ontario law treats married and cohabiting couples differently with respect to property rights. Make sure yours are protected - get this Ontario Cohabitation Agreement. Prepare an Assignment of Interest in Estate with this template form for executors, beneficiaries and testators in Canada. The assignment is made by a beneficiary who is receiving, or expecting to receive in future, a gift of property from the estate of a family member. The beneficiary assigns to a third party all or part of the bequest left to him/her in the deceased's Will. This form contains language for both living and deceased testators, so it can be used to assign actual or anticipated future bequests. As an executor, you may find yourself asked to pay out a bequest to a bank or creditor. When that happens, use this Canada Assignment of Interest in Estate form. Add this clause to a Will made in Canada to direct how life insurance proceeds are to be distributed. The testator (person making the Will) declares that the proceeds of life insurance policies, except for RRSPs, are to form part of the estate and be paid to the beneficiaries as such. This clause is intended to be considered a declaration within the meaning of the Insurance Act. This Canada Will Clause re Insurance Proceeds is a downloadable form in Rich Text Format. 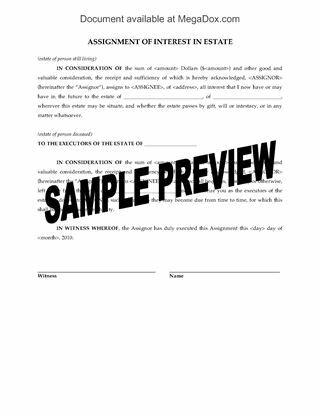 Download this free Preamble to a Will made in contemplation of the testator's impending marriage. Under most legislation in Canada, if you make a Will before marrying or entering into a civil union, the Will is automatically revoked when you marry, unless you specifically state that you are making your Will in contemplation of marriage. This Will preamble can be used in all provinces and territories of Canada EXCEPT Quebec. Download the digital file or copy and paste the following text. THIS IS THE LAST WILL AND TESTAMENT of me, __________________________, of ____________________ (city), ____________________________ (province) made in contemplation of marriage to _________________________ of ____________________ (city), ____________________________ (province). I declare that I intend this to be my last will whether or not I may have died before my marriage to the said _________________________. If the contemplation of marriage is solemnized then I direct that all my property shall be dealt with by my Trustee hereinafter named in the manner hereinafter provided.